Supposed to travel to Ipoh 1 day later, but has changed to 1 day earlier. 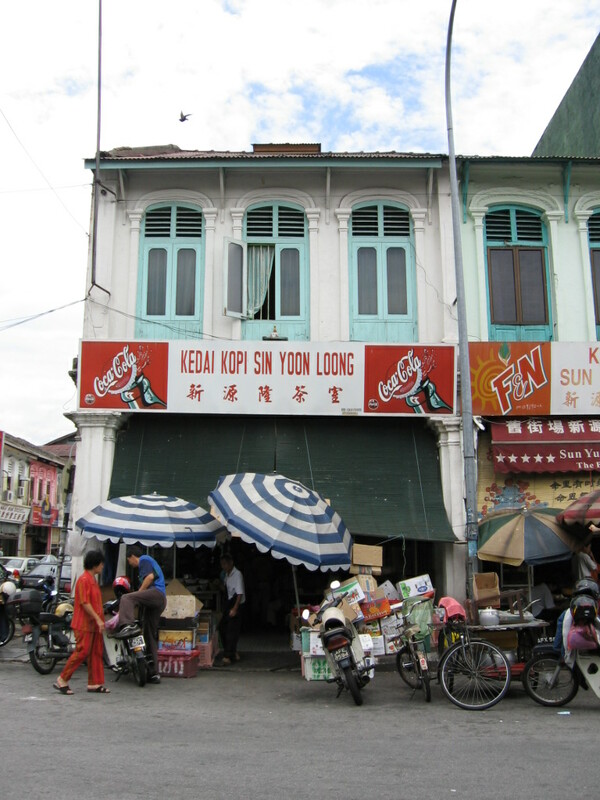 Have you been to Ipoh? 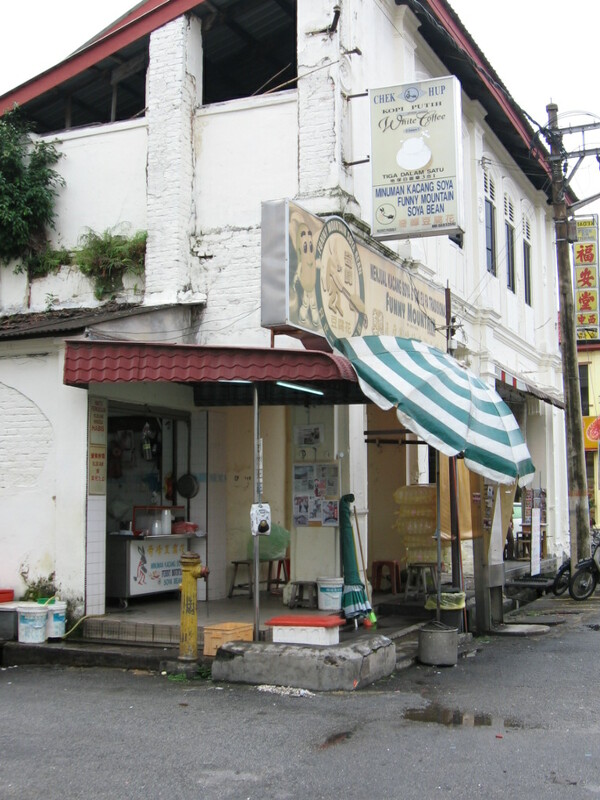 I never been to Ipoh many times… I would say less than 5 times. 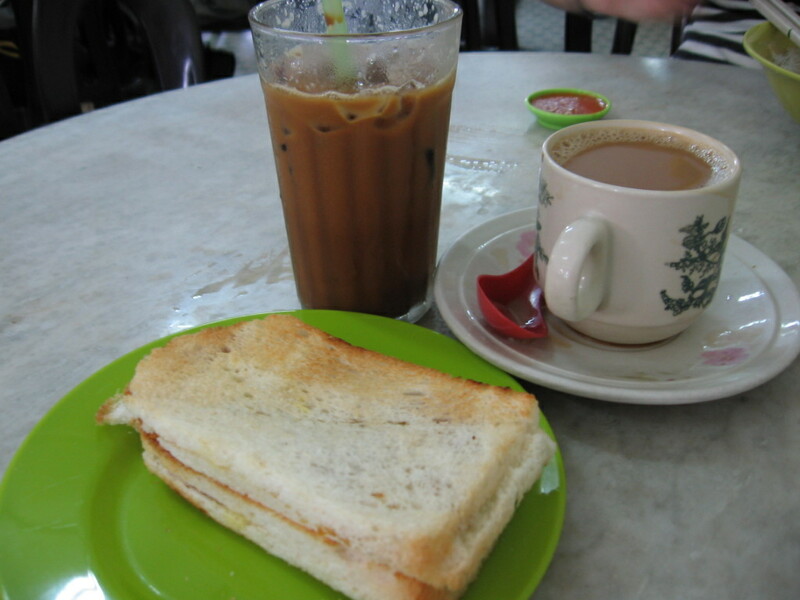 Ipoh is a nice place to travel only when you enjoyed eating! 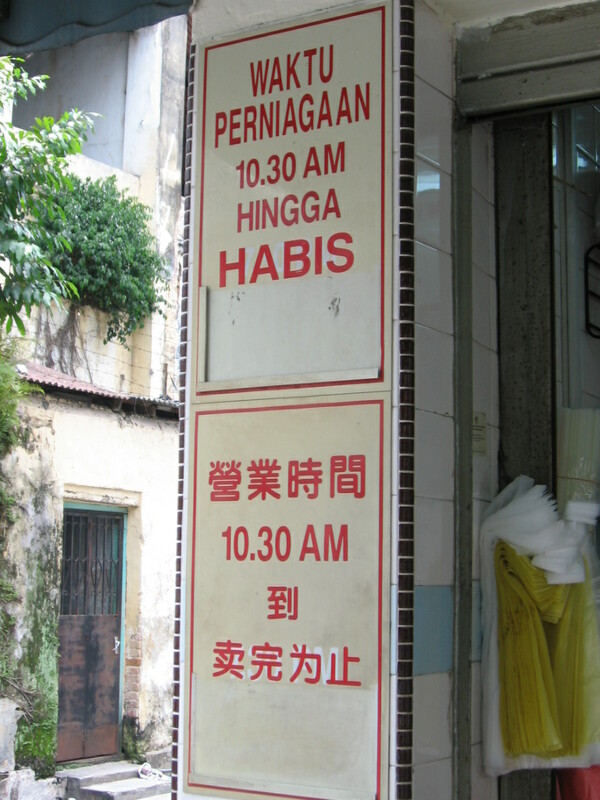 Hahaha… If you don’t fancy eating, Ipoh is not your place. Ipoh is very far from Singapore. If only you travelled by land transport. 😦 We took Michelle Yeoh father’s owned coach, Sri Maju from Singapore to Ipoh for S$32 one-way. 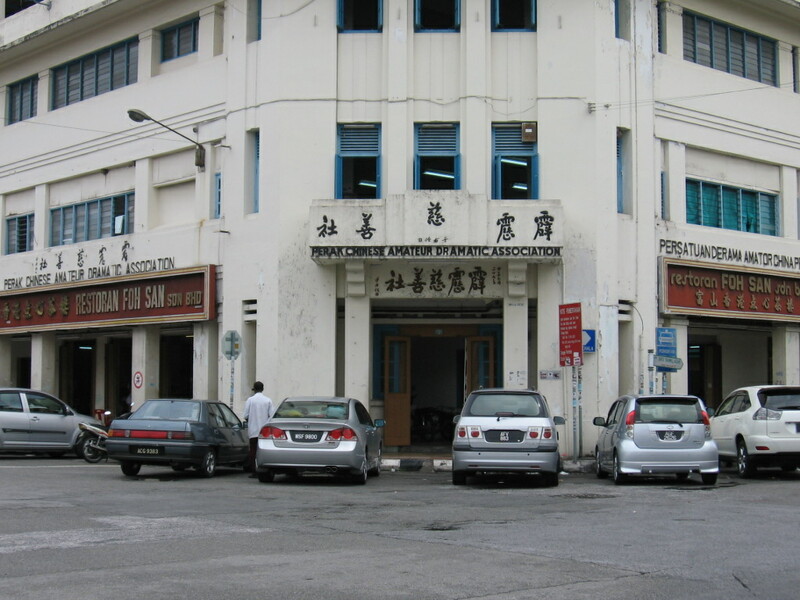 The coach departed at 12noon and arrived in Ipoh……. guess???? 9:40pm!!! Almost 10 hours and for this 10 hours i already arrived in Athens, Greece! Or another 2 hours I already arrived in London. Our buttocks were sored for sitting for so many hours when arrived….. OK, not to scare you so much, if you have a car, you could arrive in Ipoh for 7-8 hours drive. Sad to say, Ipoh airport has closed down due short airport runway. And fyi, the transportation for night train from Singapore to/fro Ipoh will not be operated effective 1st April 2009. For info for night train (Senandung Malam) to Ipoh by click here. 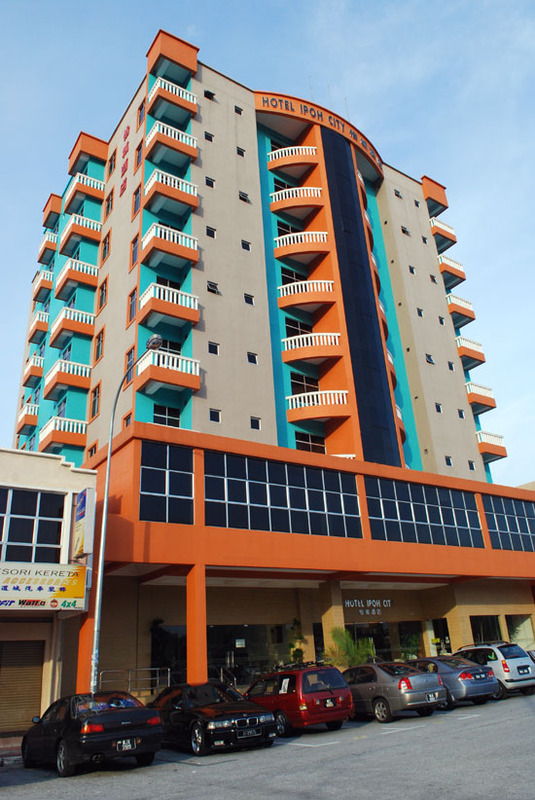 Ipoh City Hotel. Not a fantastic hotel, but I like it, current promotion price only RM93 per night (just room). Promotion last till don’t know when as the reception do not want to tell. Anyway, what I like about the hotel is the bathroom (no bath tub/shower type), large space, quite new, comfortable, no smell/old carpet, < RM100 price and good service. There wasn’t any non-working appliance. Unfortunately the hotel lost some marks on the cleanliness category…. 3 tiny harmless cockroaches seen, still! I killed and flushed them into the toilet! Well, if you are not a choosy and selective type of person….. Ipoh City Hotel is a not bad budget hotel. If you got the $$$ person, you can go for Tower Regency Hotel from RM150 and above. Hotel just launched in February 2009. 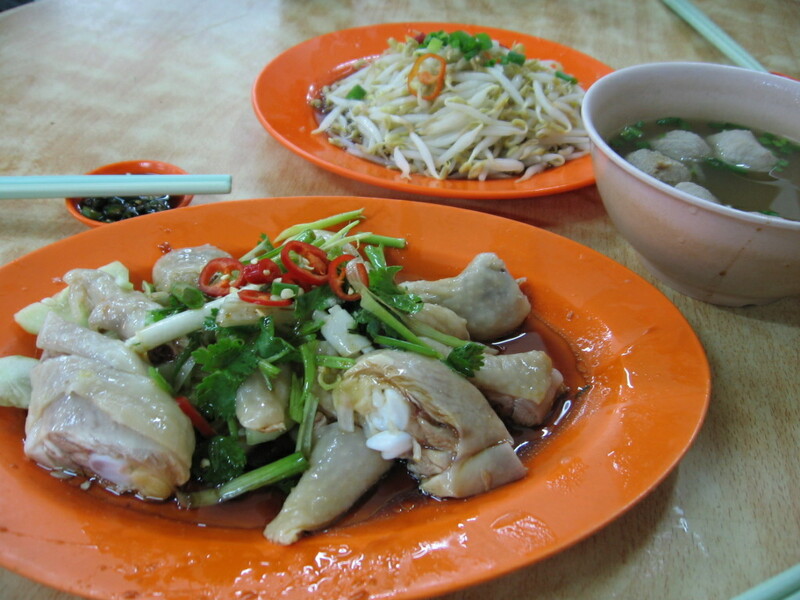 Arrived late in Ipoh and was very hungry, directed to Lou Wong Bean Sprout Chicken (in cantonese Lou Wong Nga Choi Kai)…I am sure you heard before??? 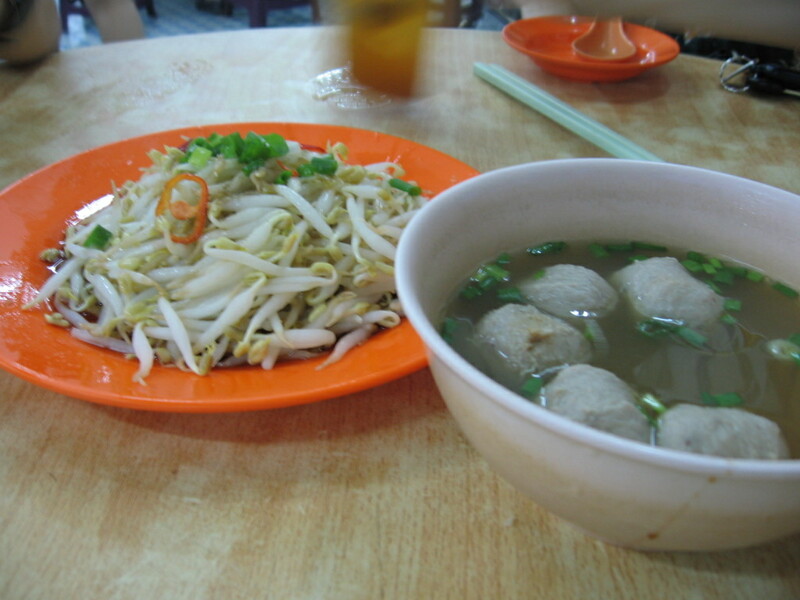 What i really like is the hor fun soup they served, pork balls and the juicy bean sprout. To me, the chicken is just ordinary (i prefered Hainanese Chicken). I wondered how they make the bean sprouts so fat and juicy? The hor fun soup is sweet, i emptied the bowl of hor fun and soup. 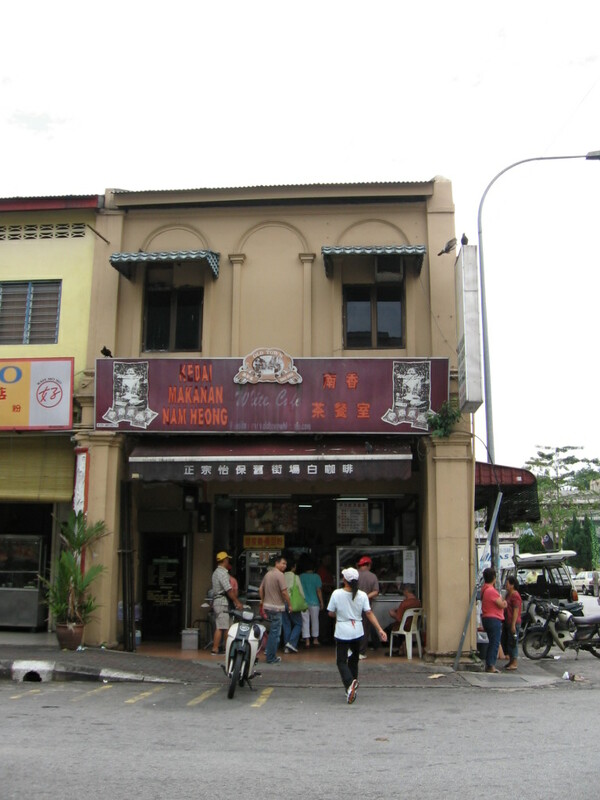 Some people likes to eat Onn Kei Chicken, located just opposite Lou Wong,.. I wanted to try Onn Kei but the shop wasn’t opened that day. Too bad…. Lou Wong Bean Sprout & Pork Balls - GOOD! I like both! 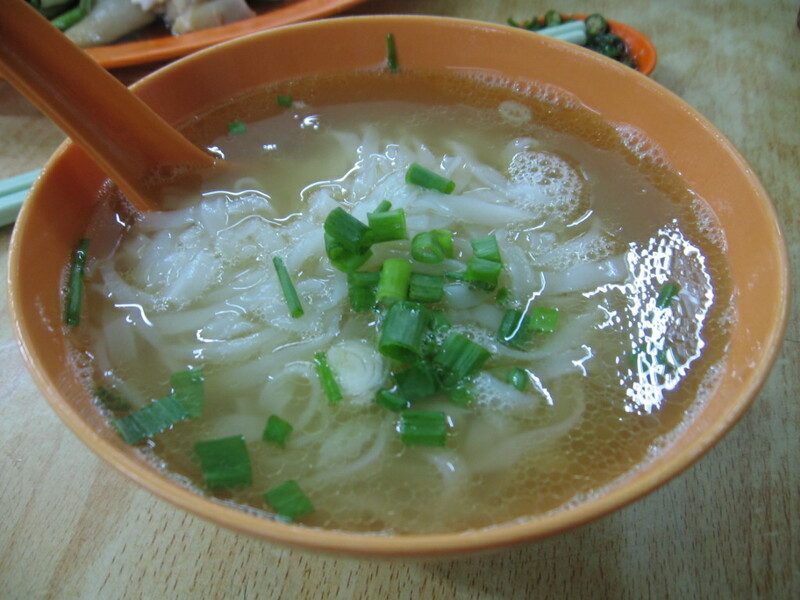 Hor fun soup... even though its plain, this bowl is simply the best! 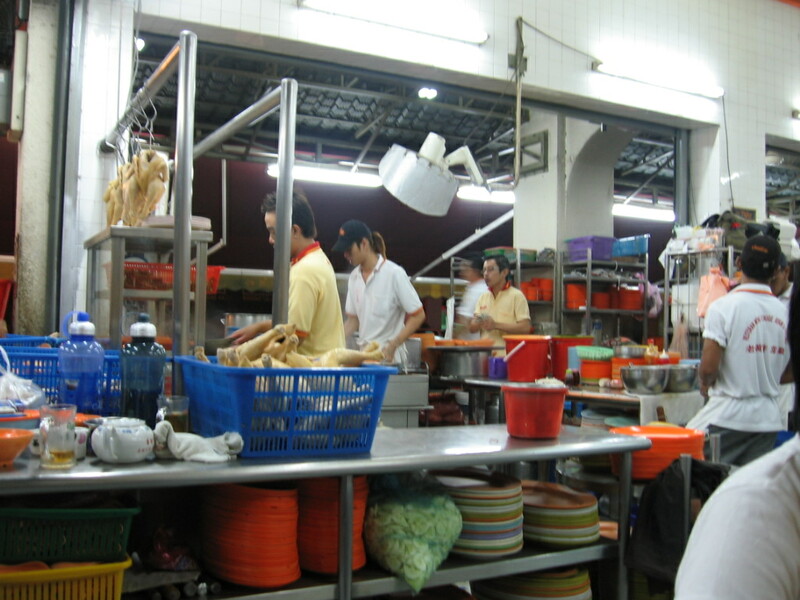 What I have learned about Malaysia food business, as long the food is good, customers do not bother about the environment. 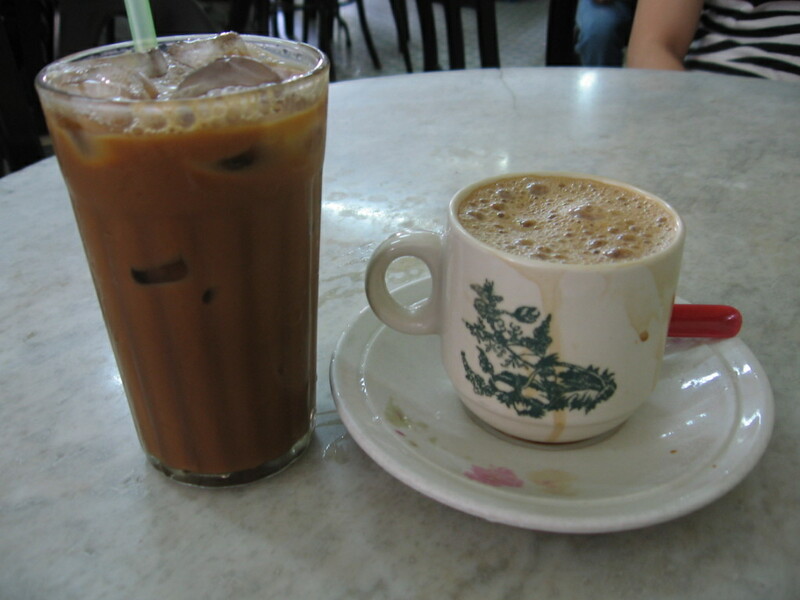 Many of the good food in Ipoh, the shops are coffee shop style. 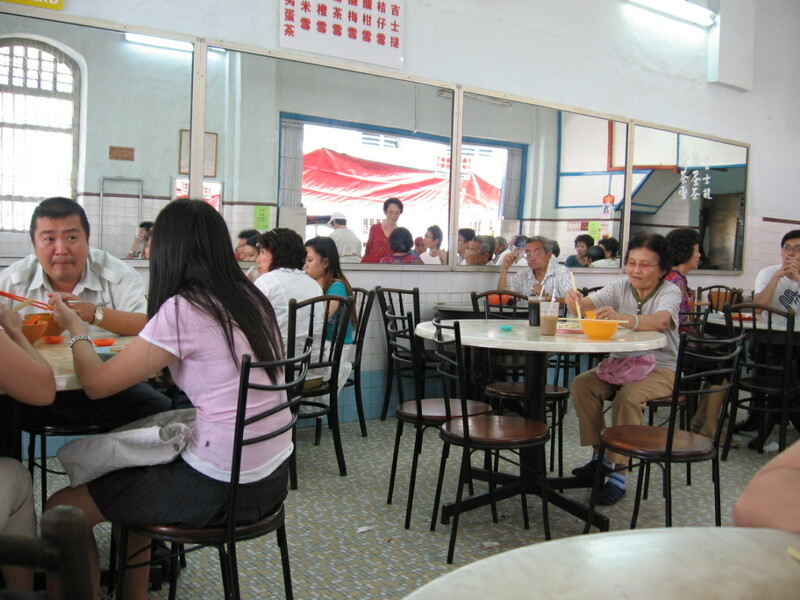 They do not need to spend a cent on renovation but still people queue and wait and wait for the food……Even cleanliness, people do not bother! Check this out. If I can give rating for Lou Wong cleanliness, I will give E for ‘very dirty’. 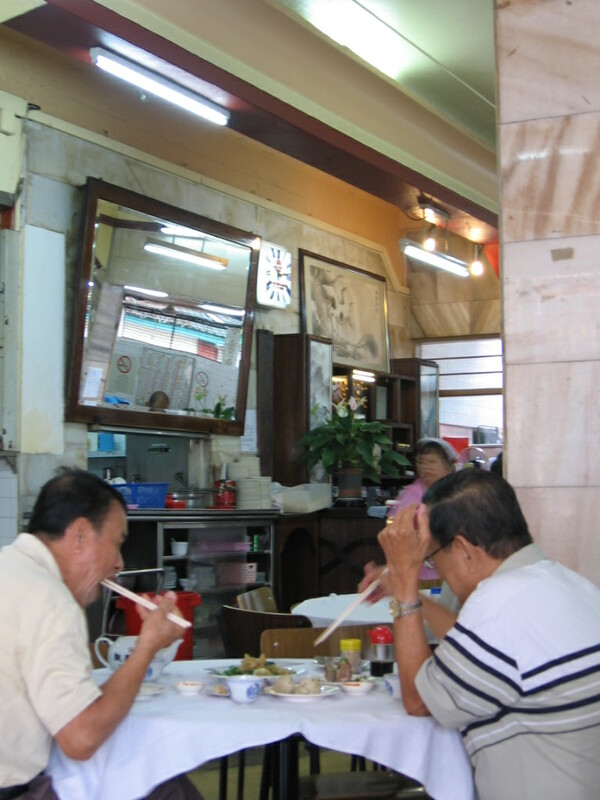 But due to the food is good, many people exempted the shop’s hygiene. Woke up at 9am for breakfast….. where? Recommended by a resident in Ipoh (friend’s friend).. Foh San Restaurant. The place is a wonder… My first impression was… as if I have gone back to the future. 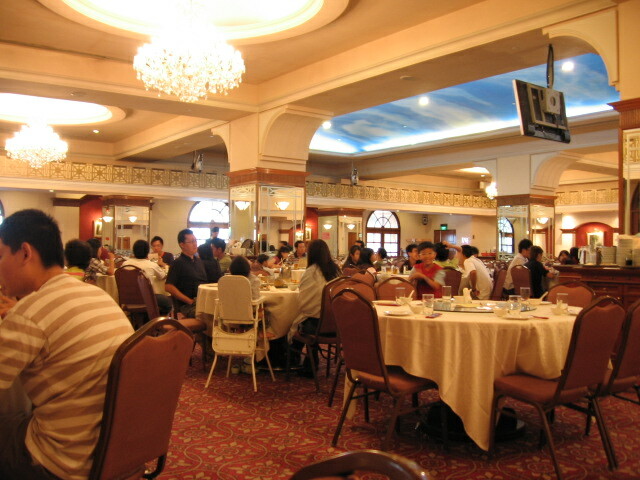 Inside of the restaurant is very antique. Like the time i was born… 1970s or maybe even 1960s! I actually enjoy the atmosphere there, as if i have gone back to the century when i was baby. Two uncles enjoying the dim sum... Yum yum... Left uncle: "Yum yum, this is delicious". 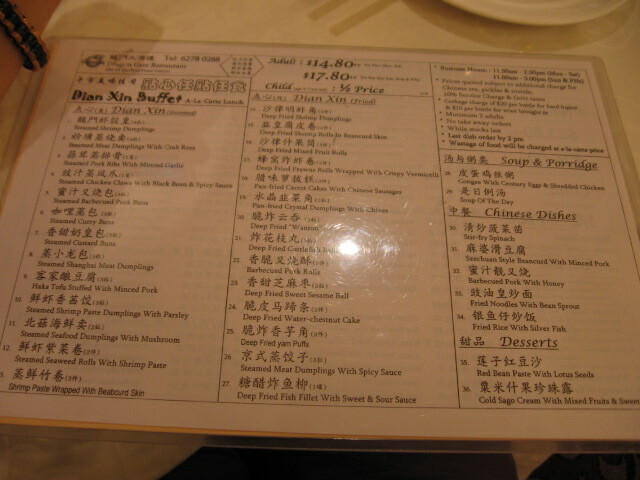 The dim sum is yummy… I like the spare ribs, the spare ribs is welly done than Dragon Gate in Singapore. 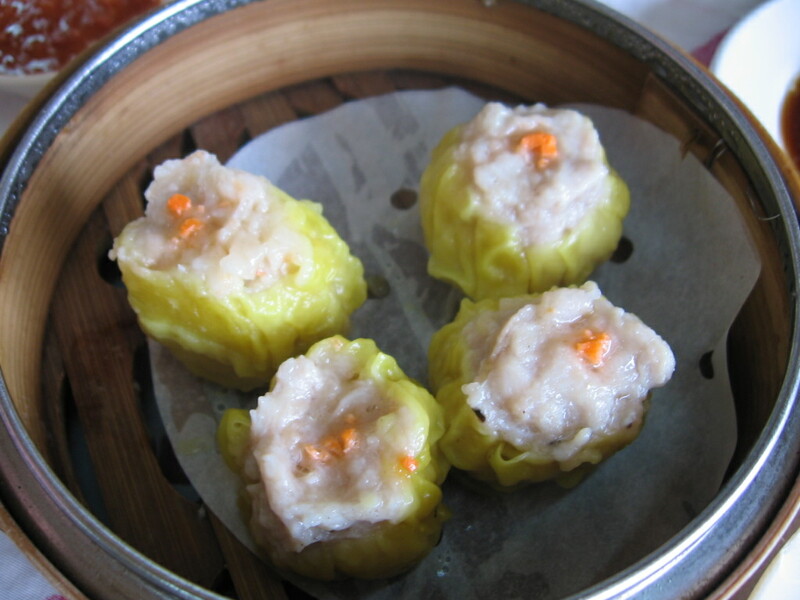 The varieties of the dim sum are very classic. 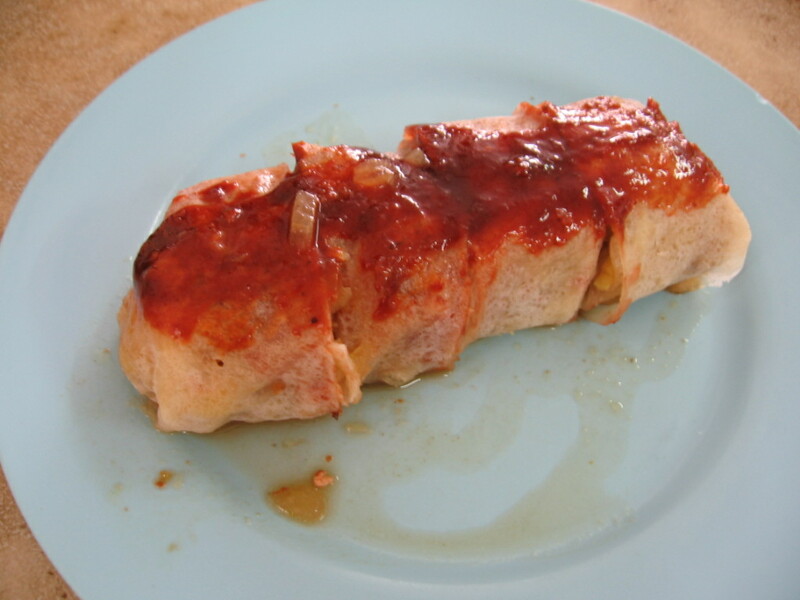 Not like dim sum in Kuala Lumpur… all sorts of dim sum creations found. To me, i like classic because they are pureeeeeee…. Original.. Even we went on weekdays. Getting an empty table needed a couple of seconds to find. According to my friend, weekends cannot find empty tables. People packed around the restaurant for empty tables. I felt i was so lucky.. able to try out the dim sum on weekday. 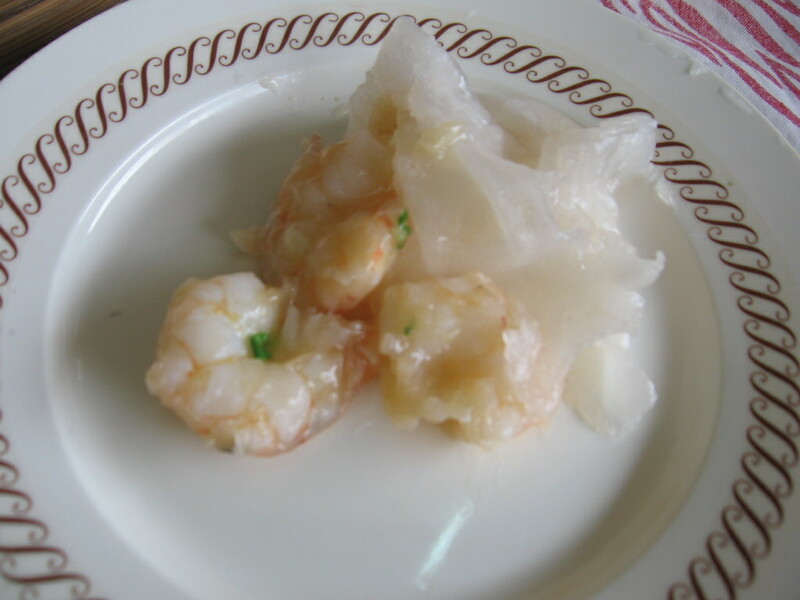 Dumpling Prawn - I like it! 3 Prawns inside.. waaa..... YUM! 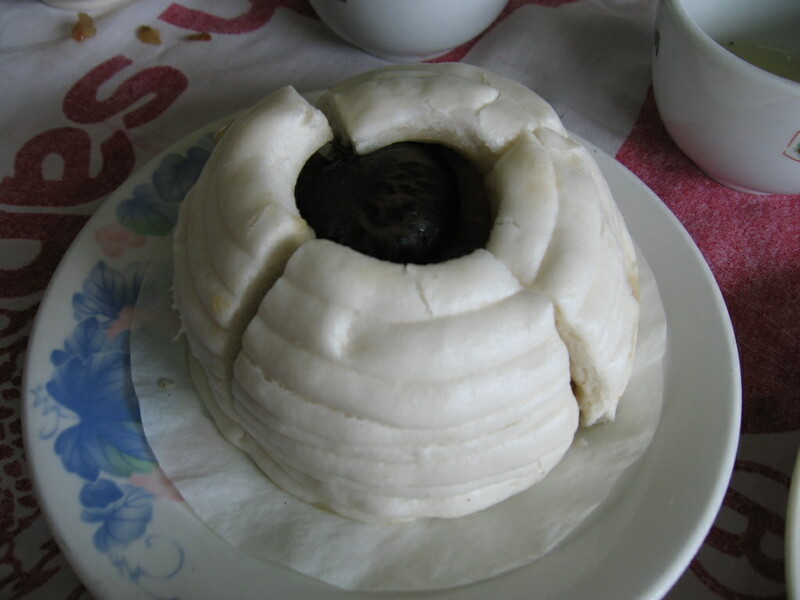 Special Pau looked like bee nest! What's inside? 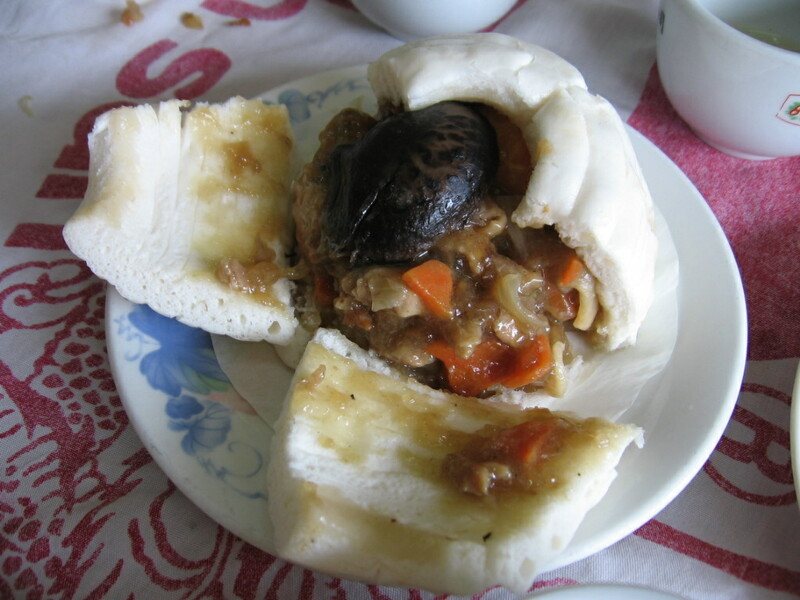 Mushroom, glutinous rice, salty egg, chicken meat and vegie - like it! 7 plates + pot of tea = RM29.00 ~ price is above average. 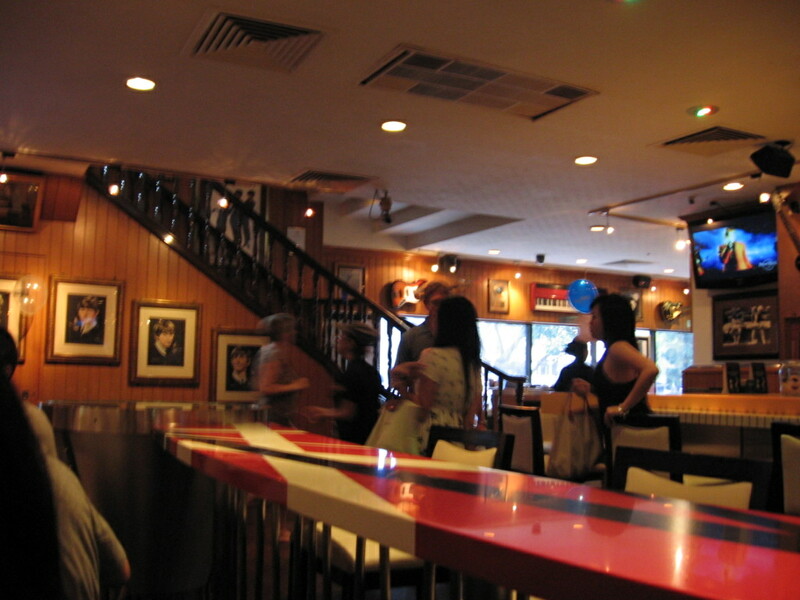 Interestingly found that although the restaurant is in 1970s/1960s interior designed, surprisingly there do have a very nice website that you can check. 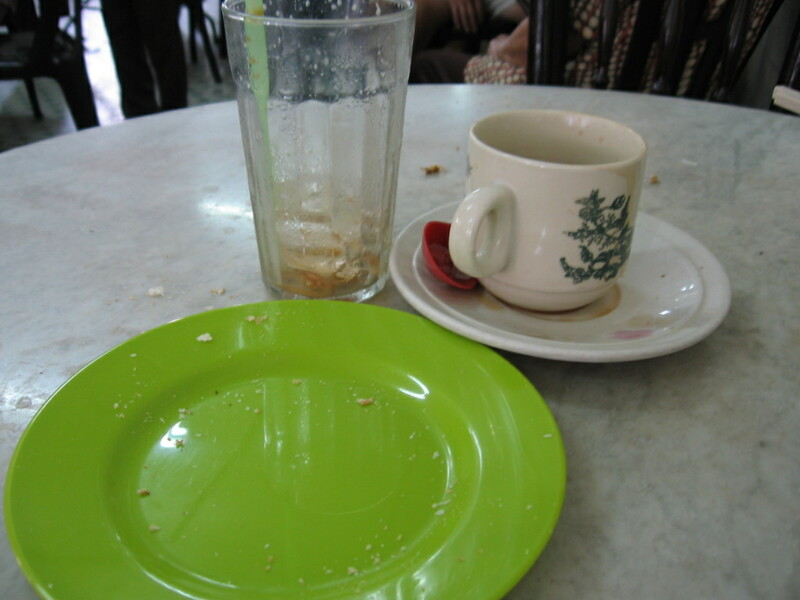 Lunch time, which i was still full after the dim sum breakfast, not to waste time…. 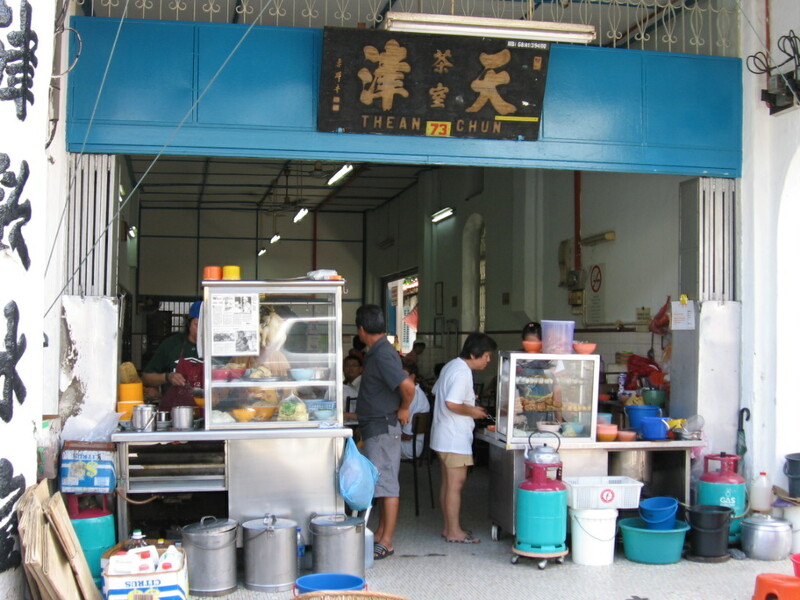 we eat more and put on more weight at Thean Chun coffee shop…. 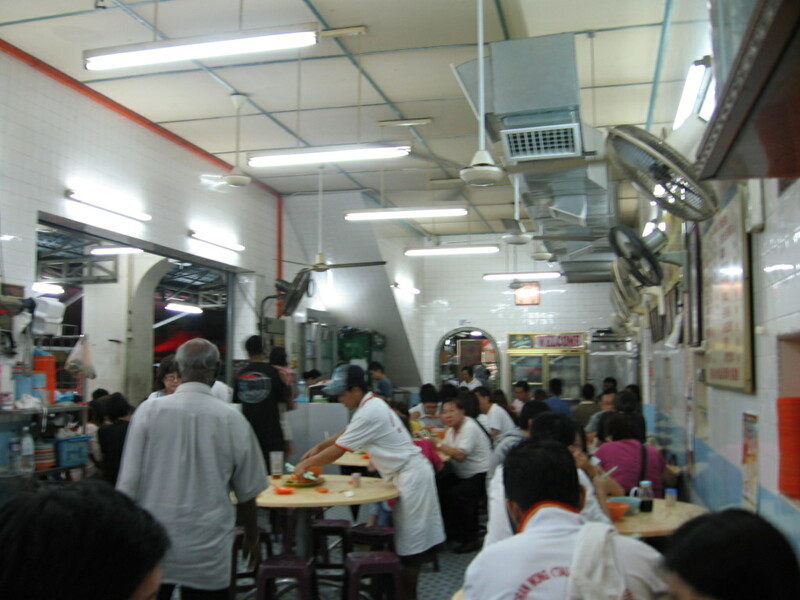 There are a few stalls inside, famous in Kai Si Hor Fun Soup (Chicken Hor Fun Soup), Popiah, Custard and Chee Cheong Fun. 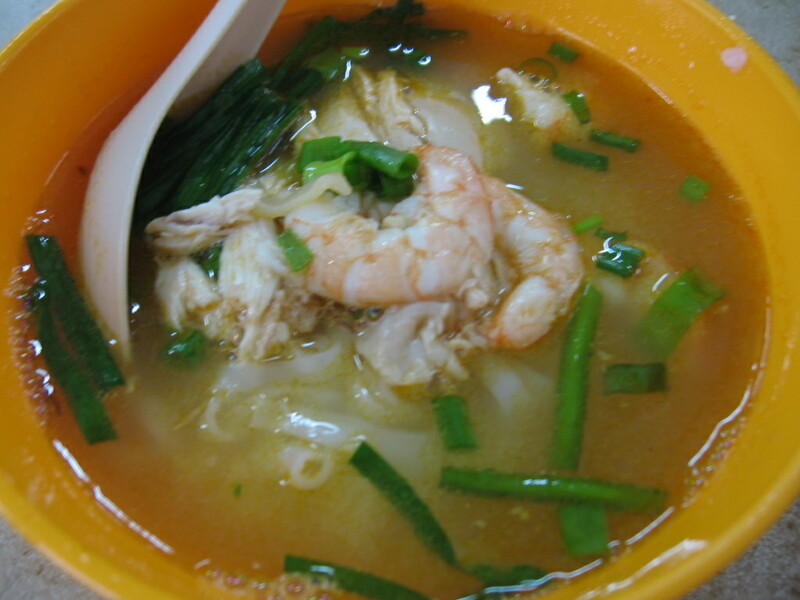 Kai Si Hor Fun Soup... I love it! I love it! Chee Cheong Fun with Mushroom Sauce - to me, i find this CCF is just average. Well, I couldn’t eat anymore at night… so just had light dinner. Besides eating and eating on the 2nd day in Ipoh, I went to Kinta City, which i find more stuff to see and branded items available there than Ipoh Parade. However, Kinta City is located outside the city whereas, the Ipoh Parade is inside the city. But it is worth to check out the Kinta City…… I found that, the Kinta City is similar with 1 Utama shopping mall (the old wing)…. the interior, exterior designs are the same.. even the floor tiles the same! Lets check the prices -- can see? Ta Daaa.... The bread gone! The coffee emptied! Waa...magic! 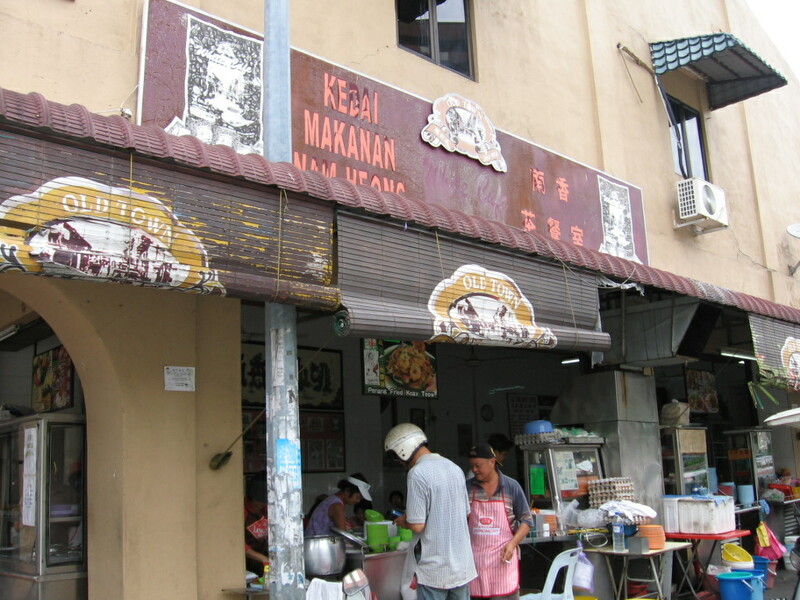 Another recommendation is Chau Kueh Teow (Fried Kueh Teow) in Ipoh. 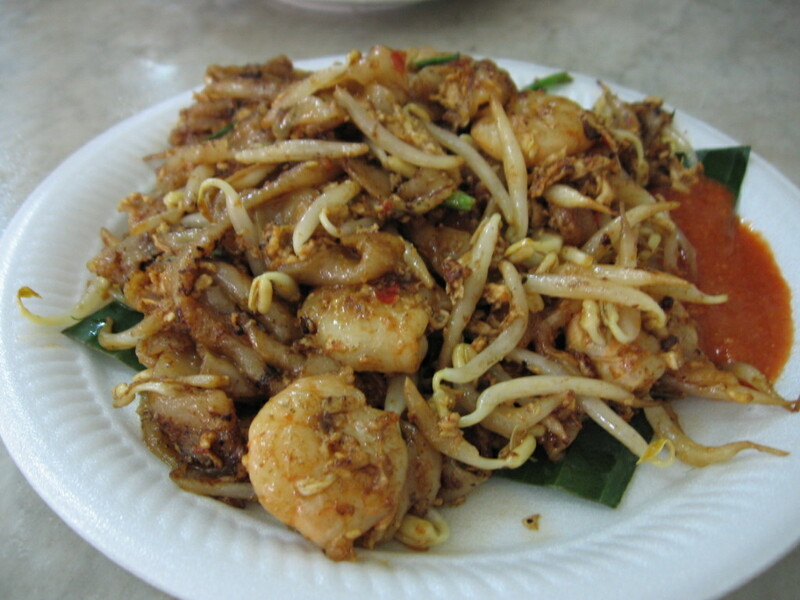 I am a Fried Kueh Teow person… I can have Fried Kueh Teow everyday for lunch. 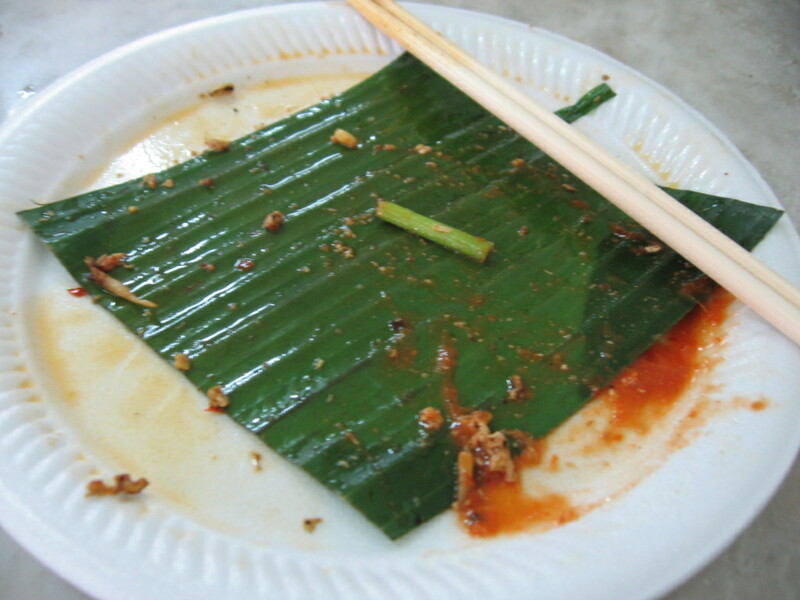 Unfortunately, there was not a single good taste Fried Kueh Teow in Singapore. 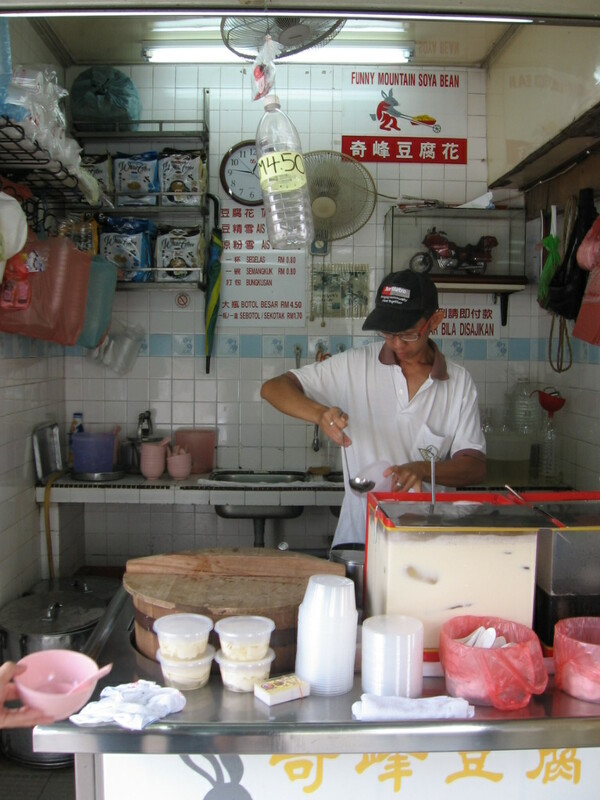 If you try deeply, the Fried Kueh Teow in Singapore taste sweet… and the sweetness is sugarly sweet. 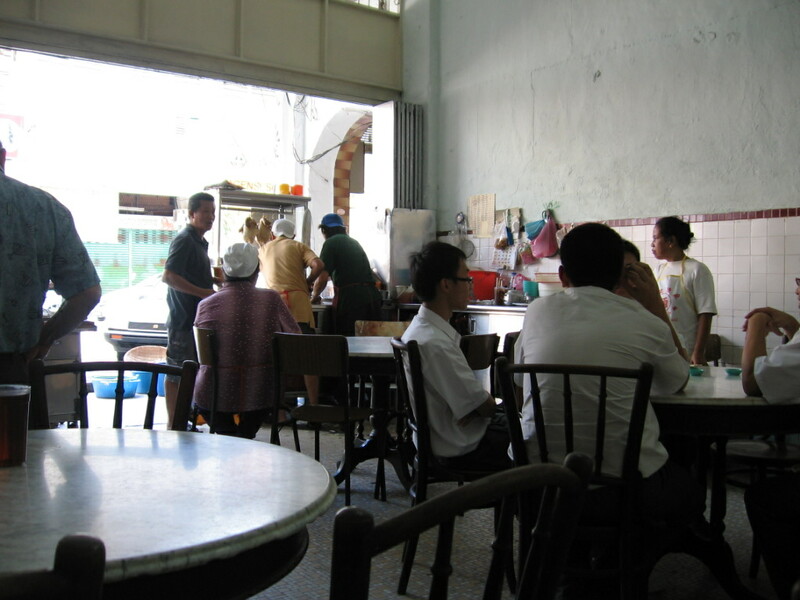 I tried many Kueh Teow stalls in Singapore, but never taste…. 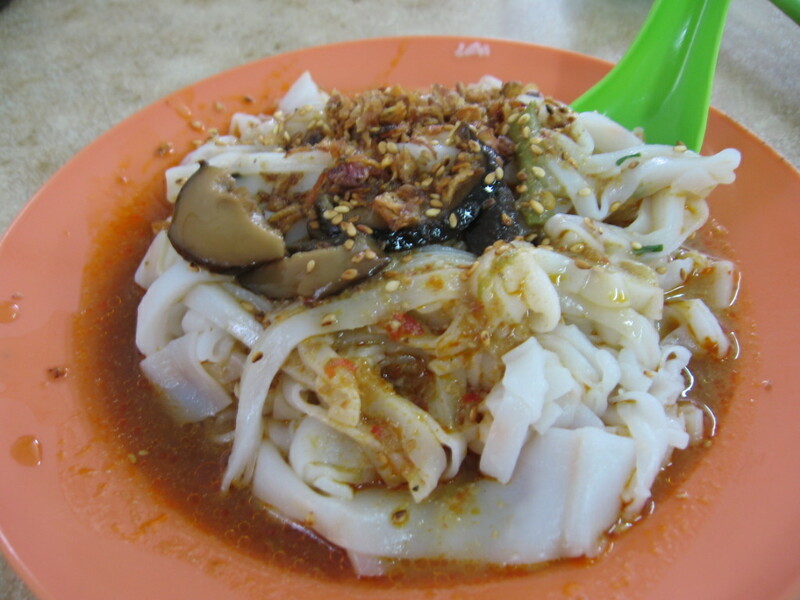 non sweetness Kueh Teow before… Sad case. 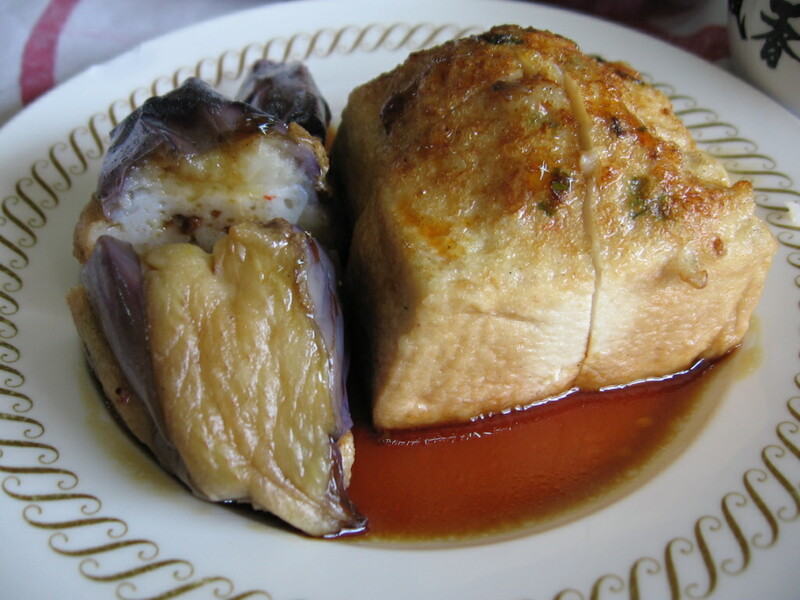 Total opposite with Fried Kueh Teow in Malaysia. 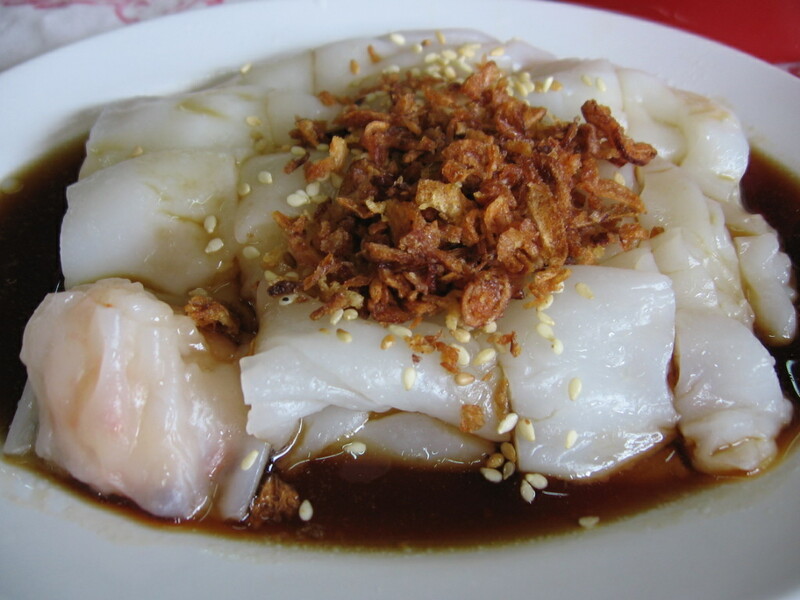 Fried Kueh Teow... BEST!!! I counted there are 5 big prawns in this plate of Kueh Teow.... OH WOW! - Price: RM3.50 ..... NOW YOU SEE! 1 second, ....Now its gone! Thats quick! 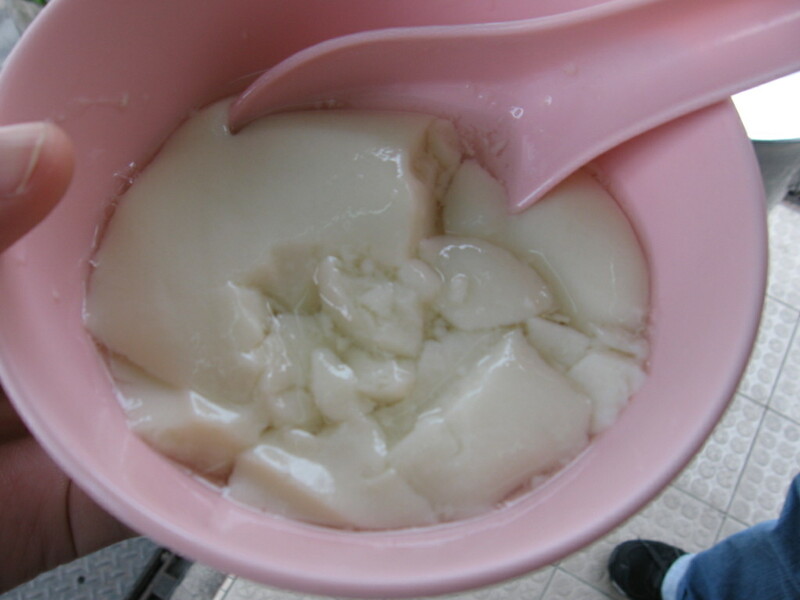 Then…… its Tau Fu Fah time!!! So many orders, so famous,... need my help or not? 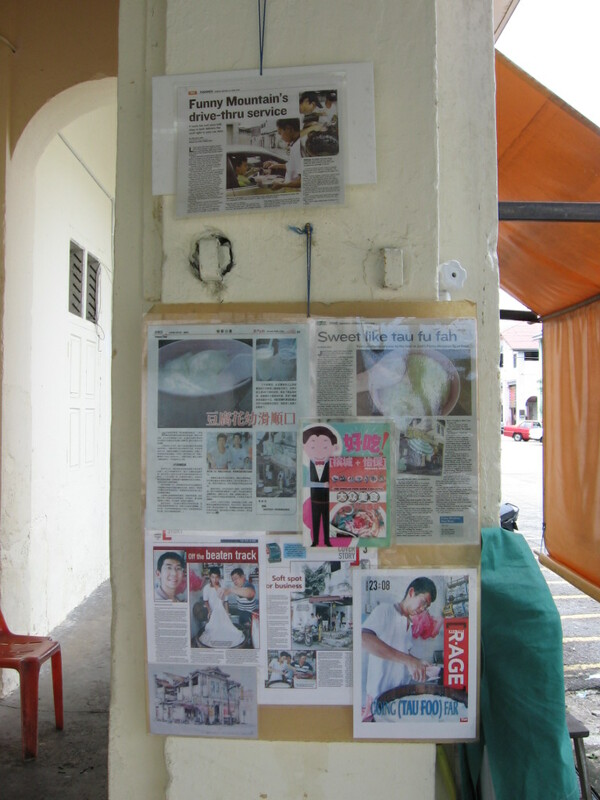 Waaa.. so famous.. so many news about this Tau Fu Fah stall. open at 10:30AM until finish! So soft & soft! 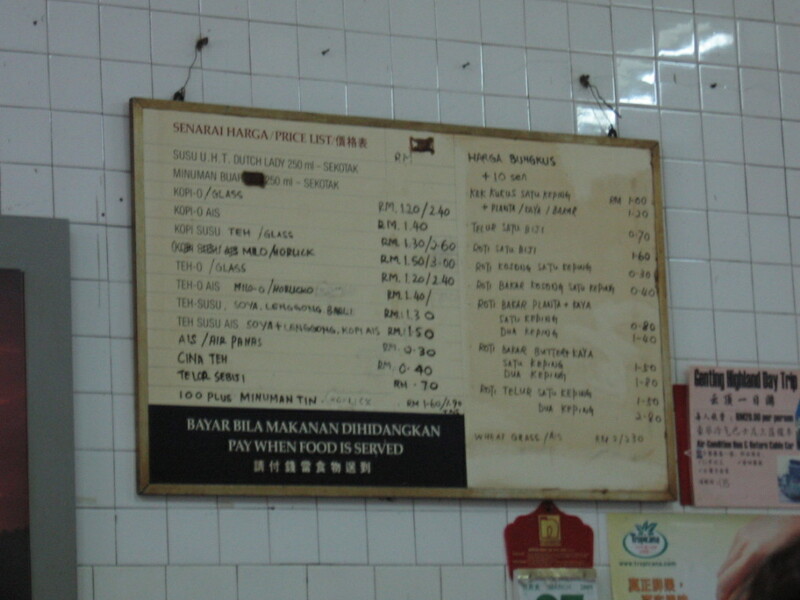 Best.......RM0.80 cents for a bowl. You know, now i only came to know this Tau Fu Fah shop is called FUNNY MOUNTAIN. The logo is a rat pushing the trolley filled with soya beans……..
And last,…. before I leave back to Kuala Lumpur.. 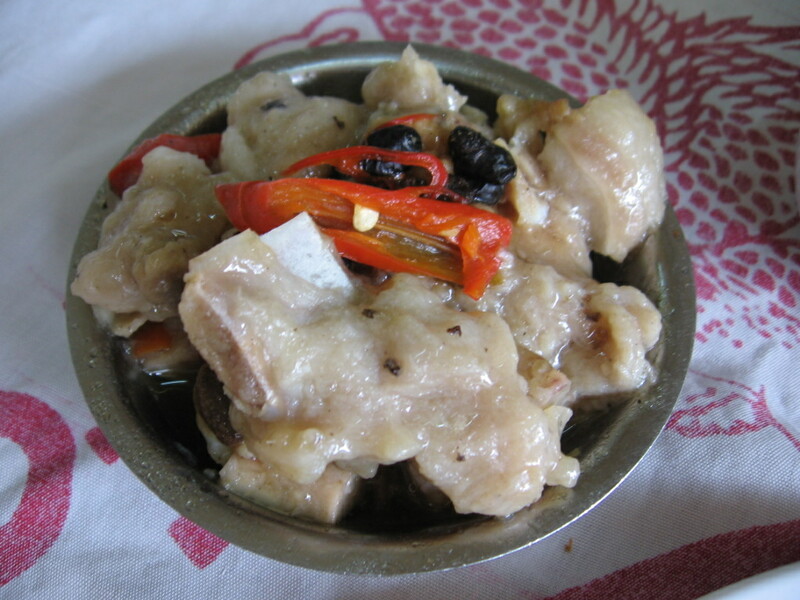 I went to buy Salted Chicken which produced and famous in Ipoh (Aun Kheng Lim) for my mum..RM16.00 for 1 whole piece adult chick…hahaha…The chicken is salty and is steamed chicken with light chinese herbal flavour. 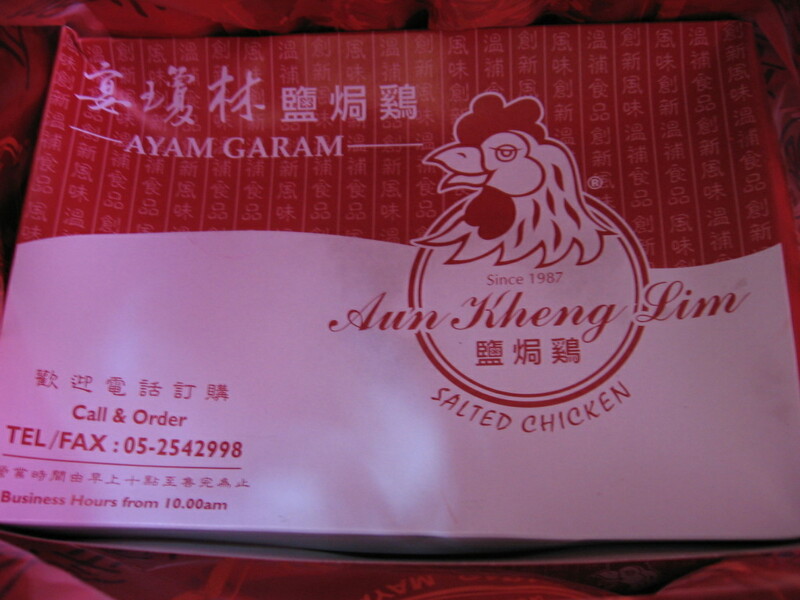 Aun Kheng Lim Salted Chicken.. Yummy too! 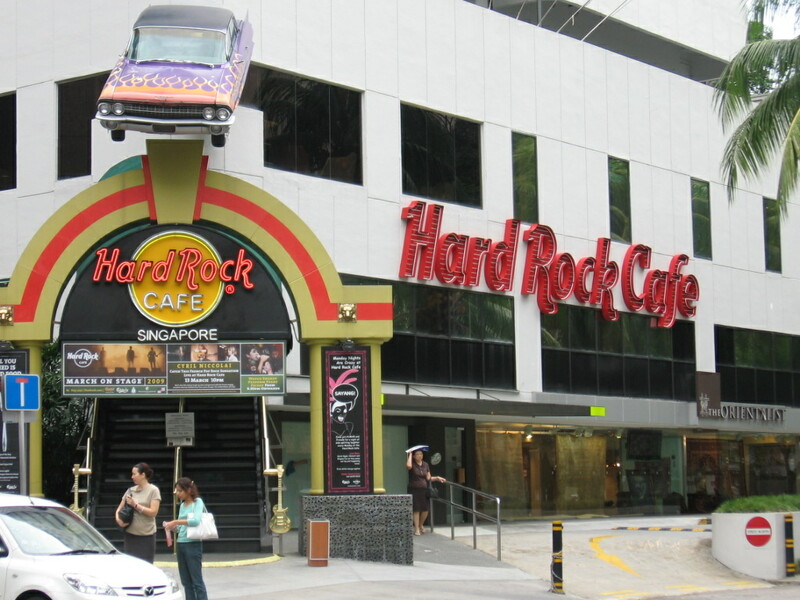 Got attracted by the value meal offered by the Hard Rock Cafe. Knew about this at a small article in the Straits Time newspaper. 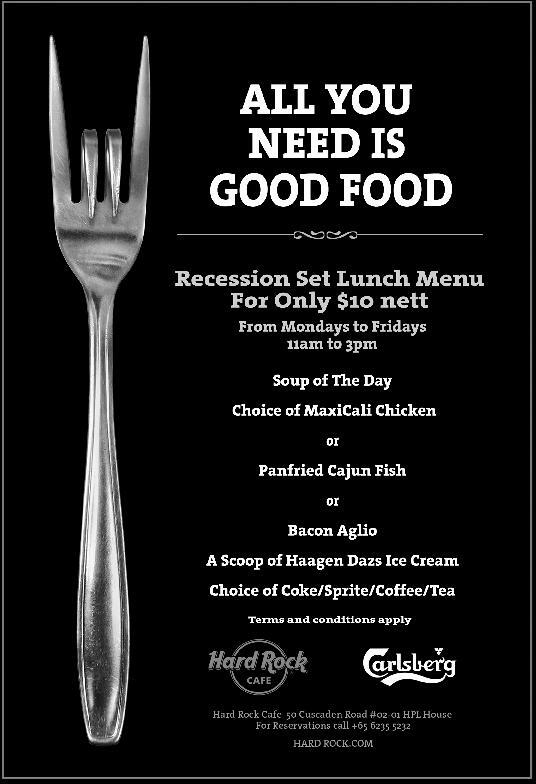 Time like this really need good food and worth of MONEY!!! Ka-ching, ka-ching, ka-ching $$$! This promotion is only available on weekdays and until 31st March 2009. Both dishes value for $$$. 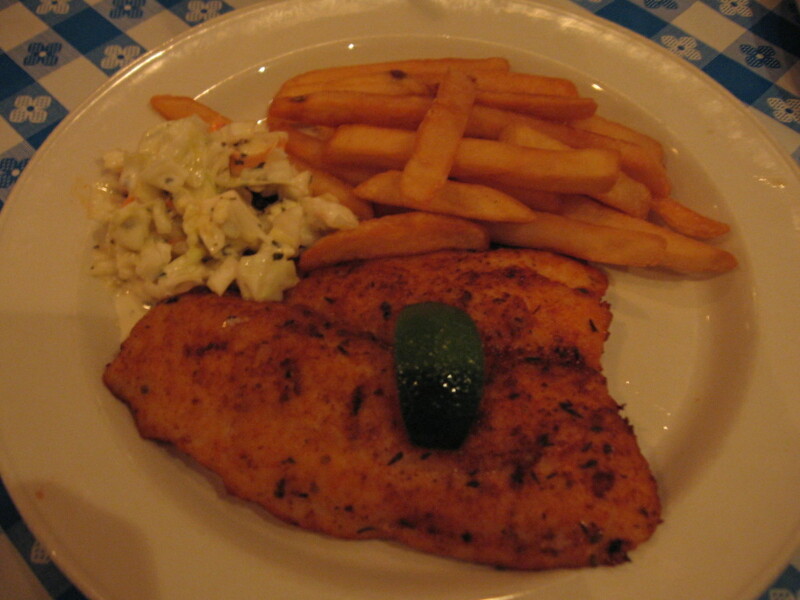 Comes with fries and coleslaw. 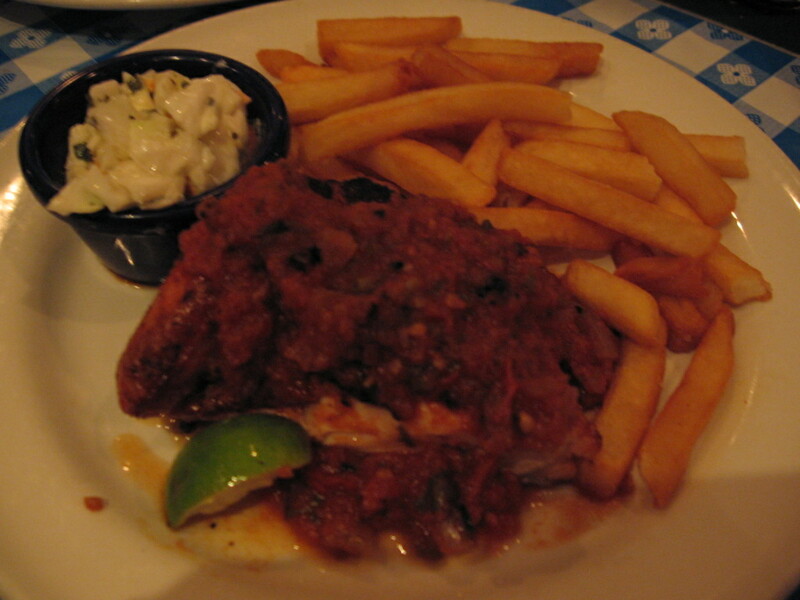 I like the this type of fries – thick and fat and meaty. Hahaha… I don’t fancy skinny fries. Yea..i like MOS Burger thick fries! 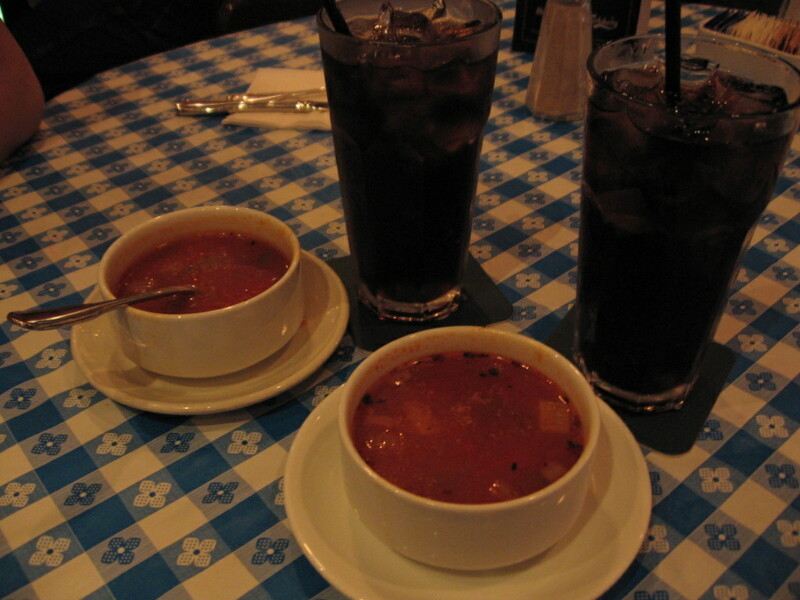 Besides… the main dishes…. 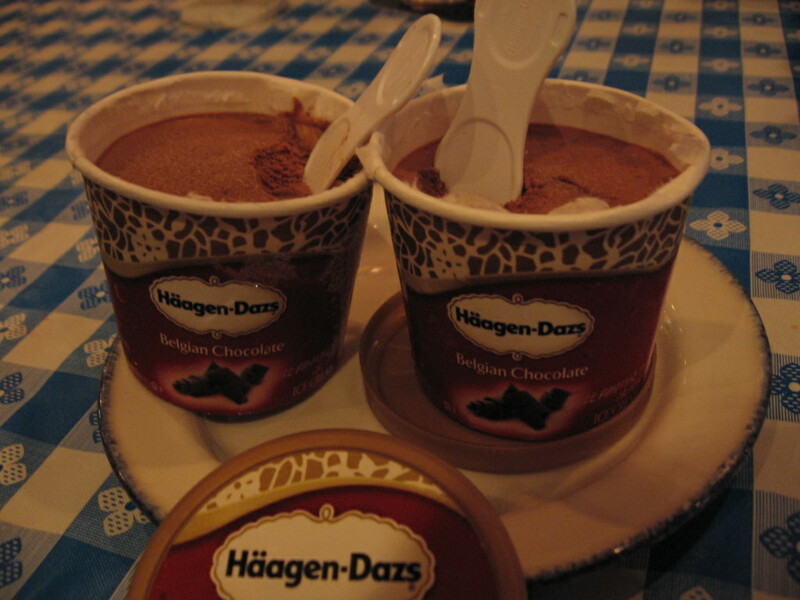 each set comes with soup, drinks and lastly, Haagen Dazs icecream. 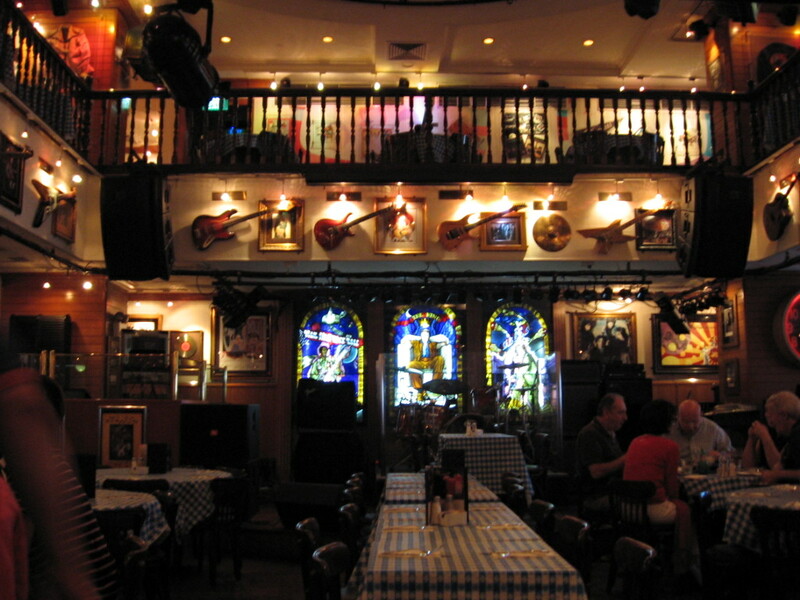 Waaahhhhh….. Good price, good food and GREAT environment. Where else can find in Singapore???? While eating and enjoying the environment, i noticed an Indian God picture framed at the centre of the dining place. Can see? 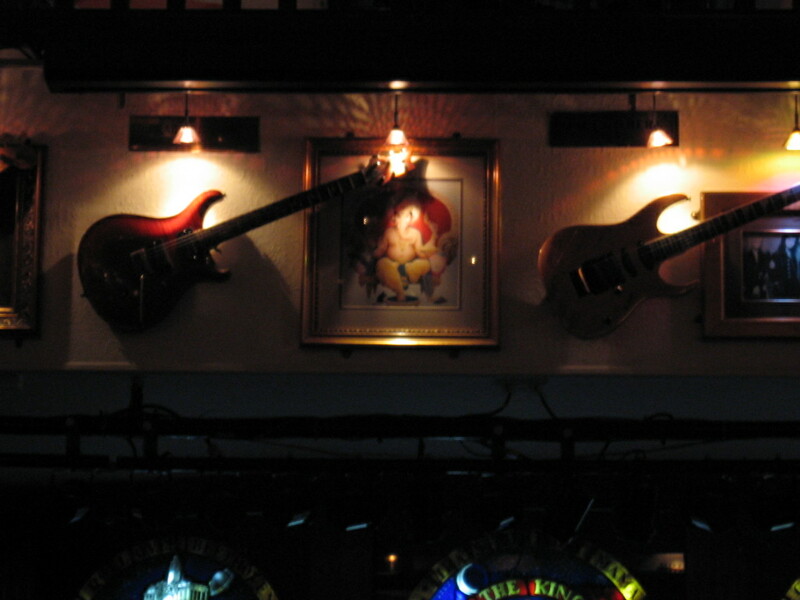 I wondered is there a meaning placing the Indian God at the centre while other pictures are rockers?? Hmmm.. whatever the reason, the our lunch was yummy… and filling! 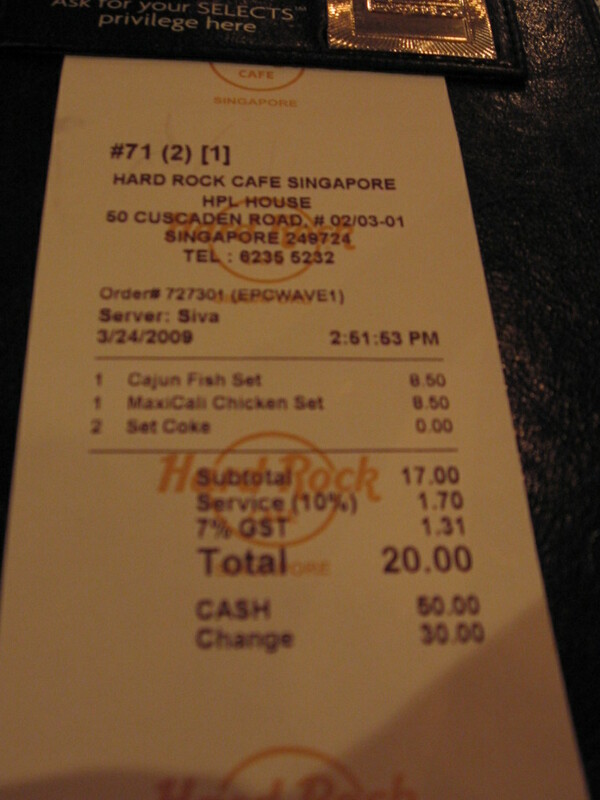 Bill S$20.00!!!! Ichiban!!!! Hou Tai Sik! 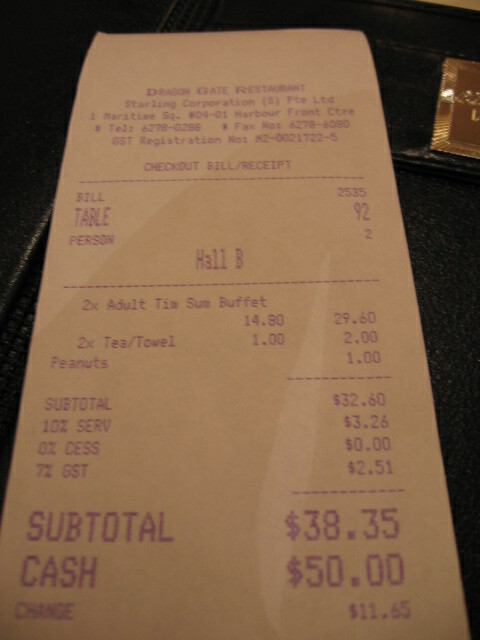 The $10.00 nett already included the tax and service charges. I like animals, especially the furry ones… At home in Kuala Lumpur I have a Golden Retriever dog. I used to keep hamsters, rabbits, tortoises and birds. Went to this SPCA to check,.. often seen from posters, flyers and heard from radio, not to simply purchase animals. Great responsibility to keep a pet. 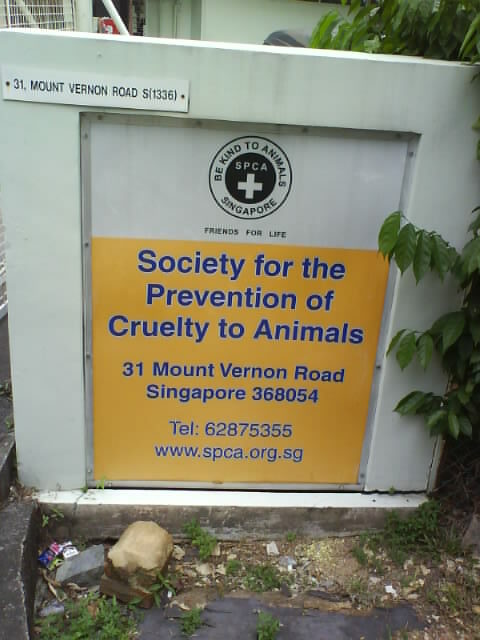 The SPCA Singapore receives approximately 1,000 unwanted animals every month. You can check more info on SPCA by clicking here. Cross breed .. husky and ??? Cross breed dog – corgi and ??? As you see from the photo album, most of the dogs are large breed because small breed dogs are fast to be adopted. Tuesday: Woke up in the morning, brushed teeth, prepared to fill my empty stomach been growling since 6am. Told myself I must eat 3 meals for today.. muahahahaha..
We decided to go for Dragon Gate Restaurant at Harbour Front Centre, 4th Floor, as referred to many positive reviews from the internet and the price is only $14.80+++ (weekdays), $17.80+++ (weekends) with more than 30 dim sum varieties to choose from. 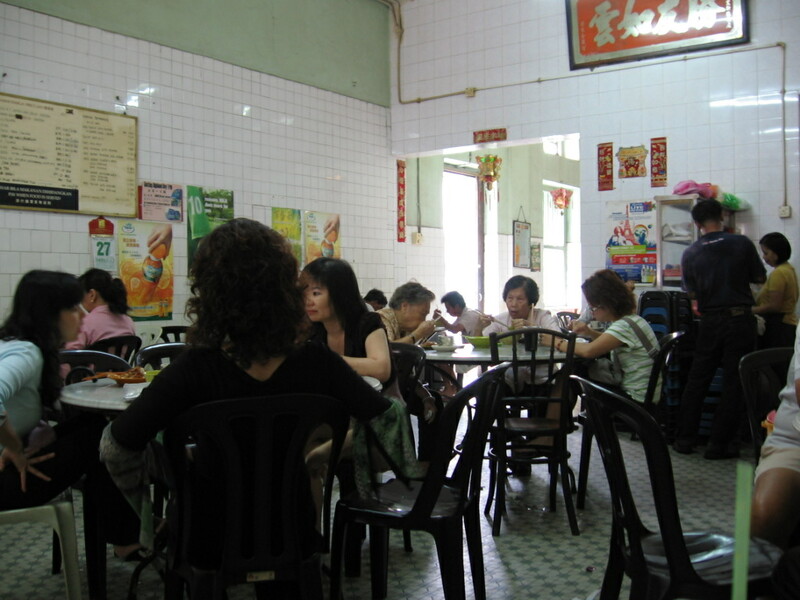 If you are looking for buffet in Singapore… you can check out this good website that shows you list of buffet available in Singapore. Click here.. 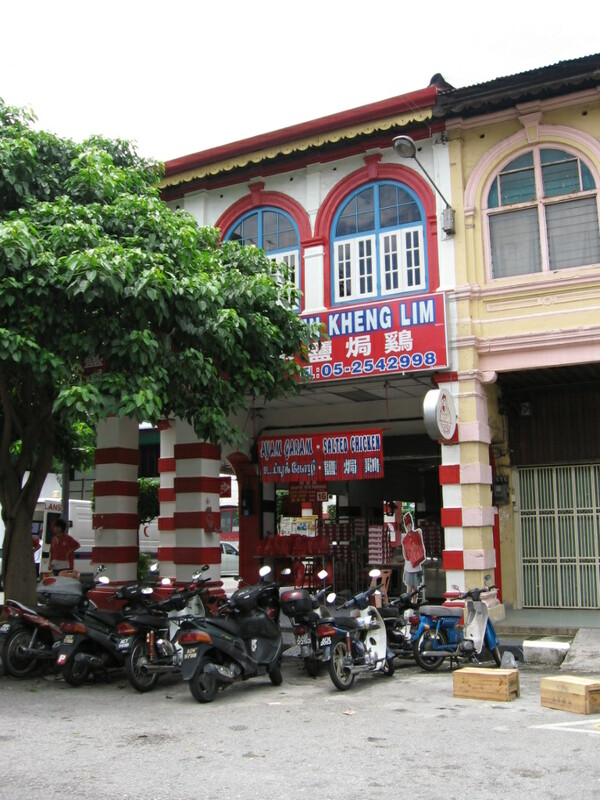 The entrance of the restaurant is located inside the 4th floor car park area. 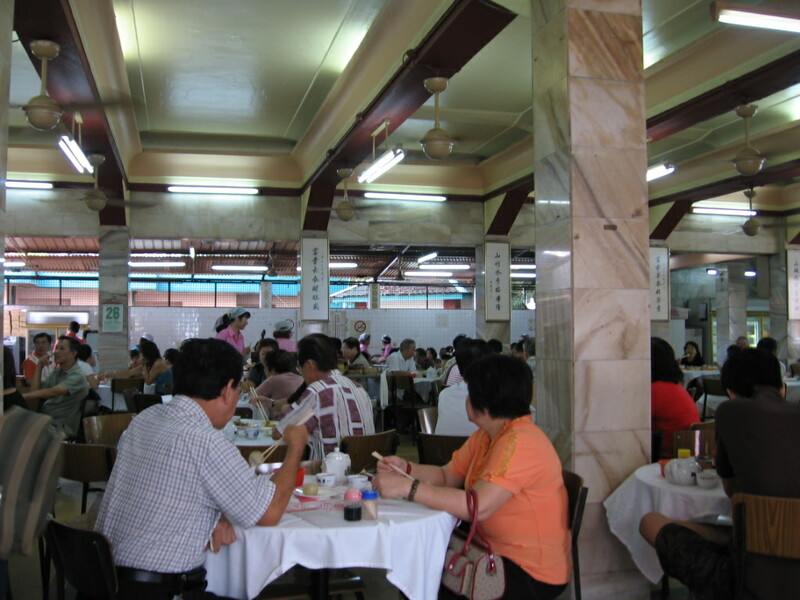 The environment of the restaurant is indeed good even offered at low price of dim sum buffet.. Here i made an album of the dim sum plates we chose. Wah..never seen so big fried shrimp dumplings! Giant! 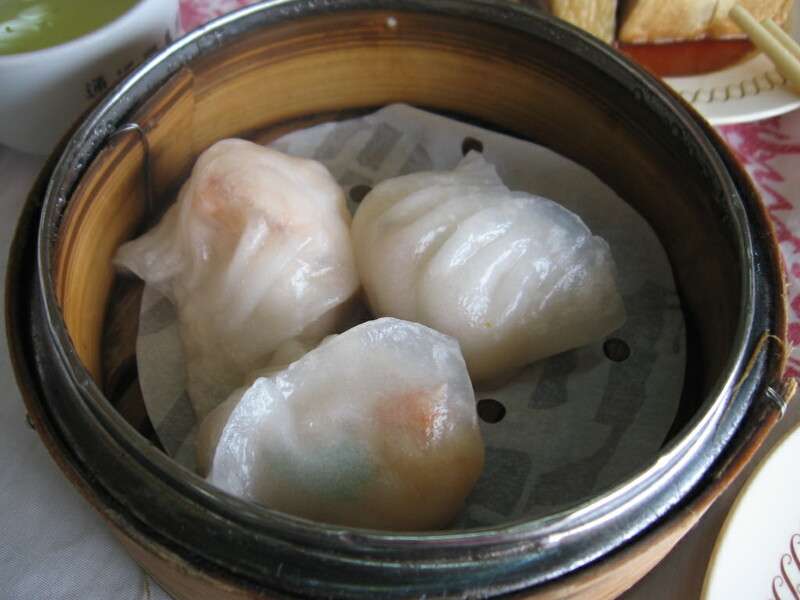 Not bad… a truly recommended dim sum buffet for you, friends and family. 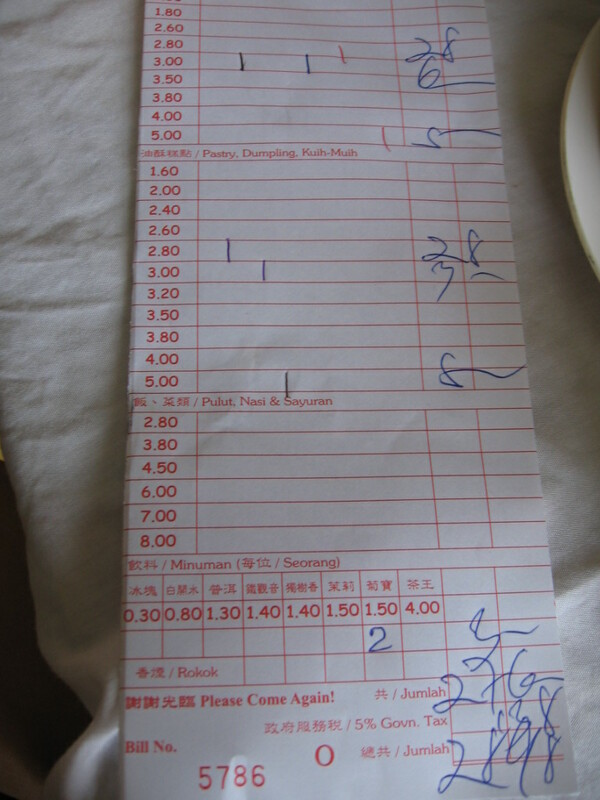 The dim sums given are very generous.. even the “siew mai” are large in size too! 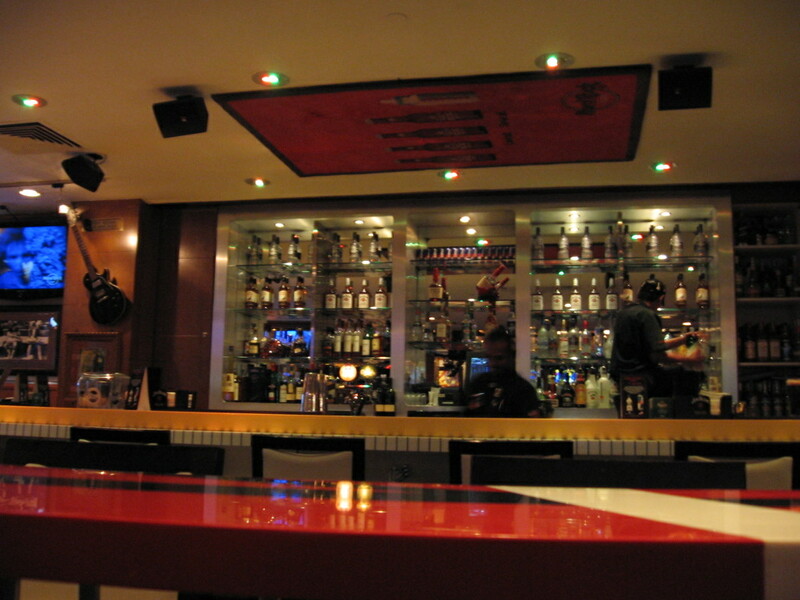 The restaurant is under Starling Group of Restaurants. You may visit the website for more info. Ip Man - A must watch movie for everyone! Good movie… I enjoyed fighting movies. Chinese Kungfu! Eiiiyakkkk!!! The scene that i liked, when Ip Man conduct martial art training to the factory workers. The workers seems know the steps very well especially the ladies…. I enjoyed every bit of this movie even though I watched it from the DVD and not in the cinema.. This movie was released in the cinema in December 2008. It was based in a true story, realife; Ip Man was a master for Bruce Lee.